Ambition is infectious amongst industry organisations Master Innholders and St. Julian Scholars as a record number of members take on a 530km cycle ride from London to Reims. In the name of opportunity, they will be looking to raise vital funds for the Master Innholders’ Charitable Trust (MICT), as a celebration of the Master Innholders’ 40th anniversary. The long and undulating challenge will see the hoteliers ride through four countries between 7-9 September and climb 3630m before arriving at the house of Champagne Tattinger in Reims for a warranted glass of bubbles! The route will see the cyclists take off from Innholders’ Hall in The City, with an educational pit stop at Wivenhoe House and The Edge Hotel School, and a necessary dinner at The Pier in Harwich, before their crossing to the Netherlands. The team will then ride down The Hook of Holland to Belgium and through France to their final destination of Reims, where they will be hosted by Champagne Taittinger. 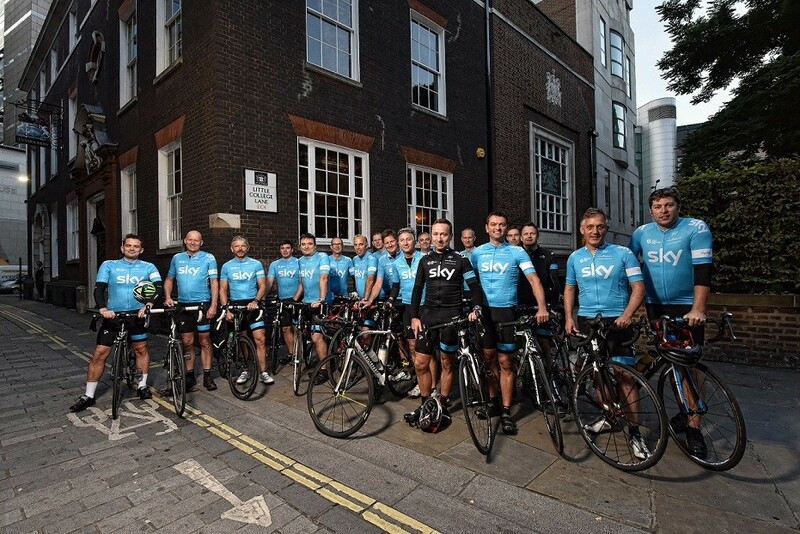 Master Innholders taking part in the challenge include Andrew Stembridge, Danny Pecorelli, Joanne Taylor-Stagg, Jonathan Raggett and The Master of the Worshipful Company of Innholders, Nicholas Rettie all sporting coordinated Lycra, generously sponsored by Sky. In 1978, the Worshipful Company of Innholders (WCI) established the Master Innholders and the Trust to acknowledge the highest standards in hotel management and give back to the industry, promoting hospitality as a career of choice. With support from the WCI, MICT and The Savoy Educational Trust, The Master Innholders’ sponsor scholarships on an annual basis to Cornell University, Cranfield University and Lausanne Hotel School. The Master Innholders’ also coordinates and support the Master Innholders’ Aspiring Leaders Diploma to develop and support young talent within the hospitality Industry. Hoping to beat their success this year for MICT, Master Innholders members raised more than £30,000 for the Worshipful Company of Innholders’ Charitable Trust during their first cycling challenge in 2015. To sponsor the cyclists, please click here to sponsor.